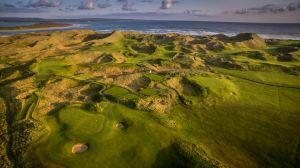 Founded in 1918 and remained a nine-hole course until 1974, when the late great Eddie Hackett extended Enniscrone to an 18-hole Championship Course for a modest fee. Along with local volunteers they managed to transform the course for the ridiculously small sum of £5,000. The new layout was considered suitable to stage the Irish Close Championship in 2009 and 1993, the Irish Women's Close Championship in 1997 and returns again this year in June 2014. 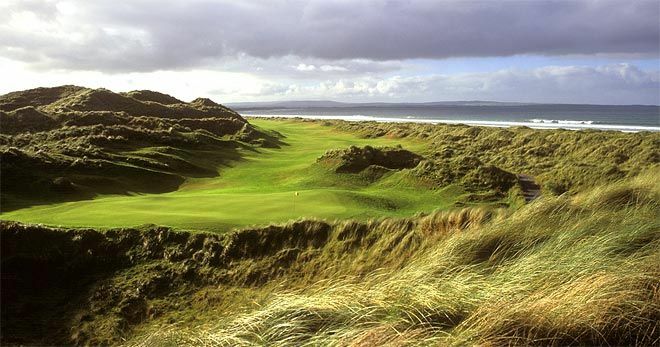 The West of Ireland Amateur Open Championship was staged here in 1997, 1998 and 1999. Enniscrone was the venue of the Irish Youths' Championship in 2001, won by Mark Ryan of Grange. Donald Steel, the renowned British course architect has added another 9-hole to this magnificent links at a cost of £1 million. 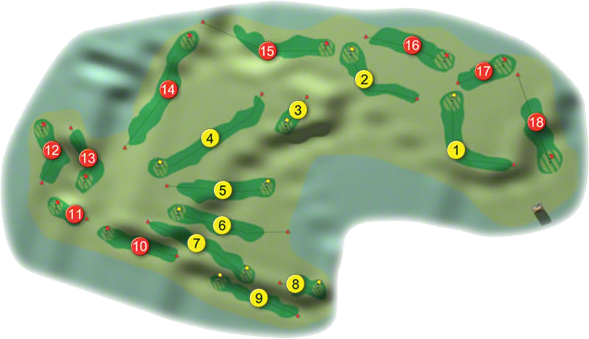 He introduced some fine new holes to the original layout to create an excellent challenge of golf known as the Scurmore Course played on 6 of the original championship course holes and 3 additional architect designed holes with tee boxes, fairways and greens of high standard. 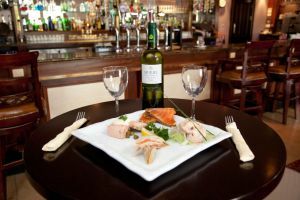 Enniscrone is a highly progressive club, set on the shores of Killala Bay. Not only have the members undertaken the extensive revamping and additions to the course but, they have carried out a fine extension to the clubhouse which opened in May 1998. 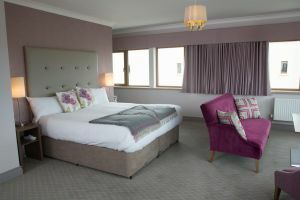 The visitor is assured of a warm West of Ireland welcome here and group rates are available. Enniscrone Golf Club won the Connacht Final of the Pierce Purcell Shield when they beat Castlebar Golf Club in the decider on Sunday 9th August 2015. They were led out by Eugene O’Doherty with Kenny McGrath who beat Shane Rice with Declan Prendergast by 1-hole, they were followed by John Griffin with Jim Bowe who went to the 19th before disposing of Noel O’Malley with Padraig McManamon, next up was John Rush with Jim Rikard who won their match by 3 and 2 against Jim McGovern with Jnr Prendergast, the penultimate match of Ray Basquill with Richie Cloonan was halved against David Molloy with Martin Newcombe, in the bottom match Pat Ruane with Padraig Tighe lost out to Ray Prendergast with Paul Fitzgerald by 4 and 3. They made the long journey to Carton House to compete in the All-Ireland deciders and were drawn against Munster Champions and defending Champions Spanish Point Golf Club in the All-Ireland Semi-Final. They were led out this time by John Rush with Jim Rickard who had a disappointing start by going down to Kevin Hayes with Damian Sexton by 7 and 6, indeed things didn’t get much better for the Sligo men when Kenny McGrath with Eugene O'Doherty lost out to Evan Talty with Mervin Hehir by 6 and 5, next up was John Griffin with Jim Bowe who halved their match against Aiden Sexton with Stephen Guilfoyle, in the penultimate match Richie Cloonan with Jack Ruane lost out to Fergal Hehir with Martin Glenny by 5 and 3, in the bottom match Pat Ruane with Padraig Tighe recorded a halve against Eric Murphy & Niall Heeney. So it was not to be from the team from this wonderful course in Co. Sligo. The Ladies of Enniscrone Golf Club won the Connaught Final of the AA Insurance Senior Foursomes and played in National deciders at Royal Tara Golf Club in 2009. They met East-Leinster Champions in the All-Ireland quarter-final, first on the tee was Sarah Helly (4) with Joan Ruane (14) who beat Gertie McMullen (5) with Eileen Lowe (5) by 4 and 3, they were followed by Frances Bourke (9) with Dolores Tuohy (12) who had a comfortable 4 and 3 win over Geraldine Ryan (7) & Miriam Garland (7). They met Ulster Champions Ballycastle Golf Club in the All-Ireland Semi- Final, first on the tee was Sarah Helly (4) with Joan Ruane (14) who beat Fiona Glass (12) with Paula Rooney (12) by 5 and 4, they were followed by Frances Bourke (9) with Dolores Tuohy (12) lost their match to Brenda McNeill (12) with Rita McCormick (13) by 1-hole, the bottom match of Rita McGoldrick (9) with Alice Higgins (13) was also a close thing when they lost by 1-hole to Mary Teresa McKiernan (12) & Susan Crawford (14). Enniscrone Golf Club won the Connacht Final of the BMW Irish Mixed Foursomes and were drawn against Leinster Champions Moate at Monkstown Golf Club on 1 st September 2005. B. Casey & L. Loftus were first out against L. Galvin & C. Connolly, but it wasn't to be their day as the Moate duo recorded a 7 and 6 victory. They were followed by S. Wade & M. Byrne against O. Grogan & E. White who had a 3 and 1 defeat. Next on the tee were D. Basquill & M. Forde who halved their match with M. Power & V. Coughlan. The penultimate pair was R. Cloonan & M. Carroll who lost by 2 and 1 to B. Burke & M. Galvin. The anchor team was T. Donovan & M. McDaid who halved their match with E. & G. Coughlan. 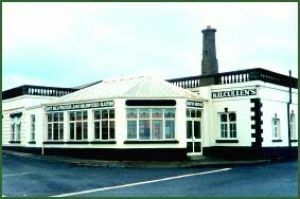 It is unclear when golf was first played at Enniscrone, local tradition records 1918 as the year in which the game was first played here. The Western People, of the 19th August, 1922, carries the following "Enniscrone Golf Club-Medal competitions. Competitions will be held over the above links on Thursday, 24th August, and Sunday 27th, inst. All wishing to compete will please notify the Secretary, and send club Handicaps before 20th . Further particulars on application to the Secretary.